Mountain Buggy 12" Aerotech Wheel Set are custom made to fit the Mountain Buggy Urban Jungle, +One or Terrain Pushchair (2015 model or later). With the Mountain Buggy 12" Aerotech Wheel Set you don't need worry about pumping up tyres anymore. These airless 12" aerotech wheels will fit your Mountain Buggy Urban Jungle, +One or Terrain Pushchair (2015 model or later). This wheel set come in a pack of 3 - front and both rear wheels included. 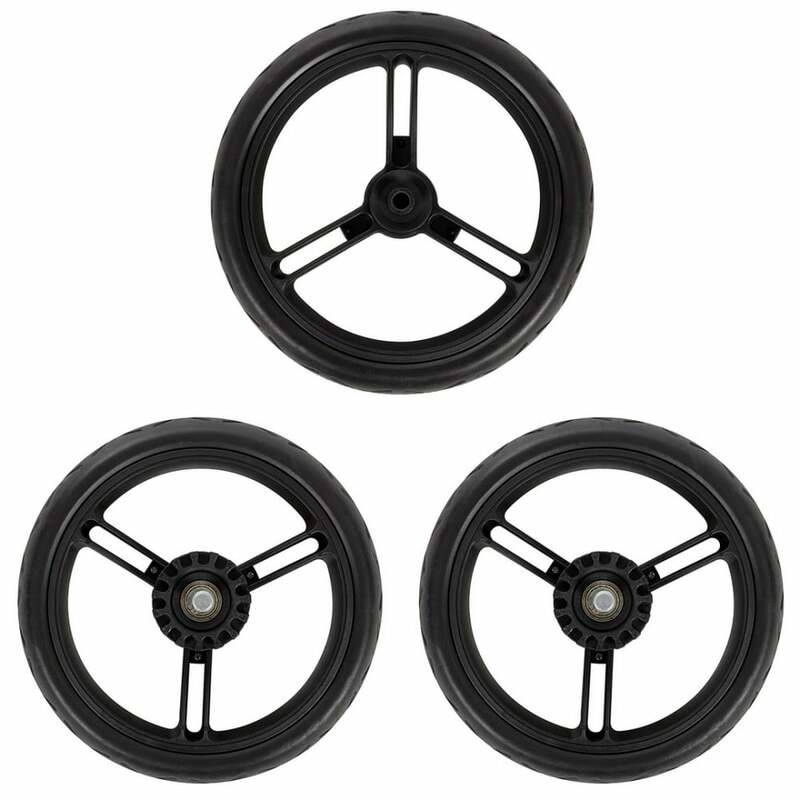 *Note that these are Mountain Buggy puncture-proof aerotech wheels and not the regular air-filled wheels. Your Review - I just purchased a Mountain Buggy Urban Jungle nautical buggy and I wanted to get some puncture proof tyres. I used the standard air filled types that came with my new buggy a few times, and when I fitted the aerotech tyres I did not notice a difference in steering or suspension, they seemed just the same. I looked at many reviews on these wheels and was concerned that many reviews said that the brake on the handle did not work with the aerotech tyres, but my handle bar brake still works fine. I am really pleased I got these so I have no more puncture worries, but wish they were standard with the buggy or at least cheaper to buy!